Borowiec & Borowiec PC – The lawyers at Borowiec & Borowiec P.C. in Sierra Vista are here to help you with your Personal Injury matter, DUI, Family Law issues, Criminal matter or Estate Planning-Contact us today! 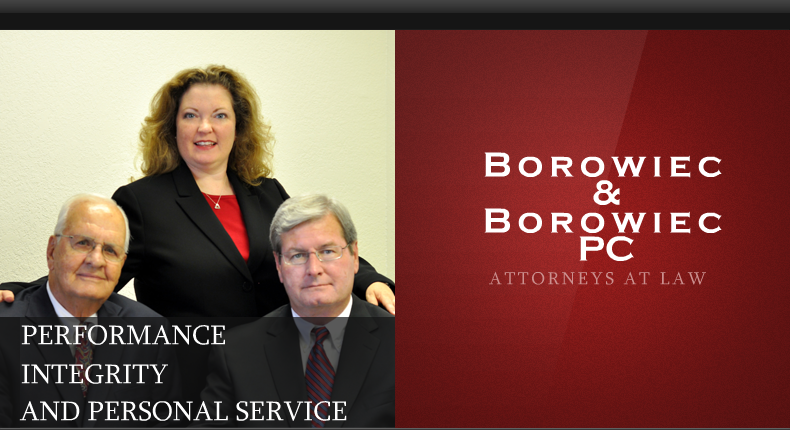 We Are Your Personal Injury, DUI, Criminal Law and Family Law Lawyers in Sierra Vista. Joel Borowiec and William Borowiec, brothers, founded the firm in 1997. Joel and Bill, together with their younger sister, Anne, grew up in Bisbee, Arizona, watching their father, Matthew Borowiec, practice law and then preside as a Superior Court Judge in Cochise County. After graduating from law school, each brother went his own way to practice law. After years of working as in-house counsel for a large insurance carrier or large law firms, Joel and Bill decided to return to Cochise County and start a law practice which allowed them to focus on their clients and their client’s stories. Anne joined the firm after she graduated from law school, and Matt joined the firm when he retired from the Cochise County Superior Court. The founding brothers decided to concentrate their legal practice and attention on cases for which they had experience and expertise. Through its evolution, the firm has maintained that philosophy, and our attorneys limit their practice to areas in which they are best suited to accomplish our goals of excellent performance, integrity and the delivery of personal service.